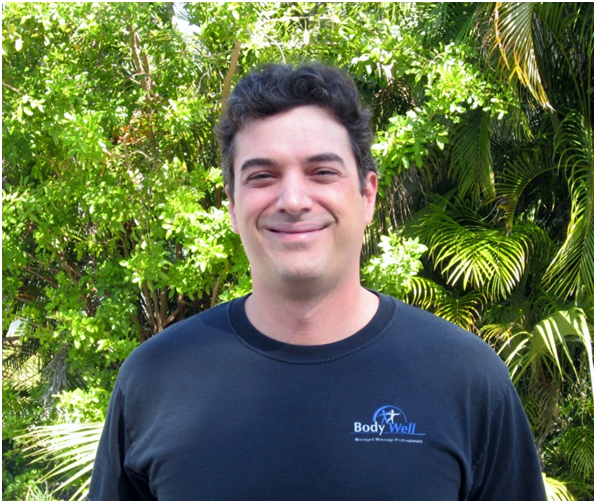 Bill is a Florida native and Licensed Massage Therapist who has been with Body Well since the very beginning back in 2005. He’s based in lower Palm Beach County and offers in home, hotel and chair massage in and around Delray Beach, Boynton Beach and Boca. He’s been doing massage since, as a child, he gained his first experiences doing foot massages for his mother (lucky her!). He has maintained several regular clients who appreciate his excellent work and unassuming yet caring personality ever since.